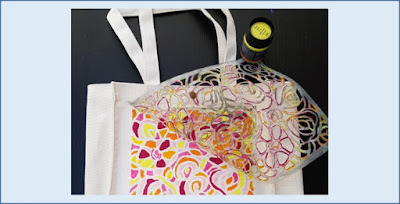 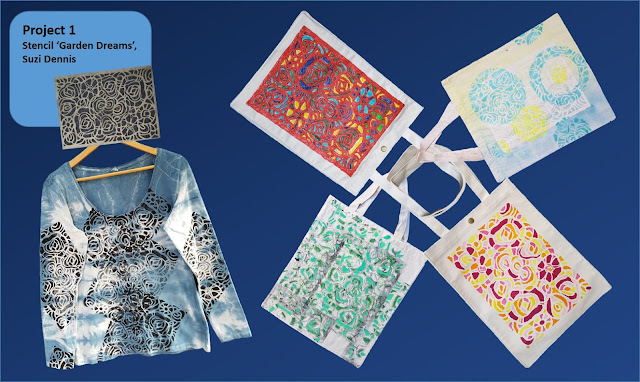 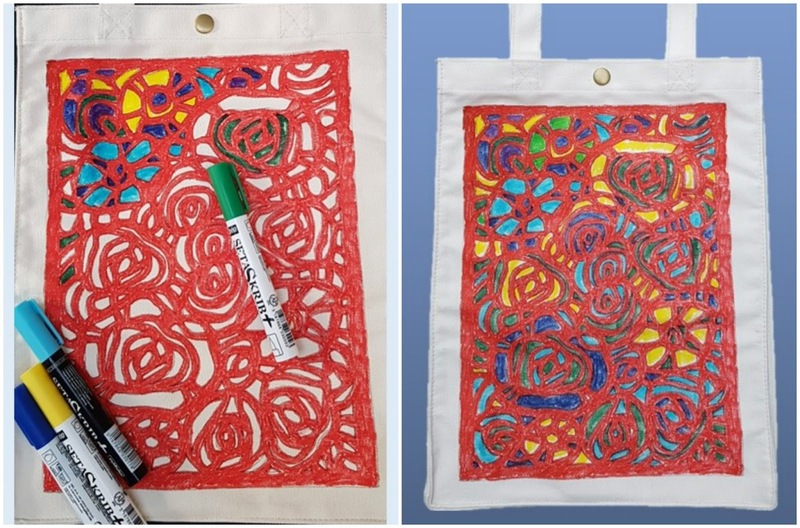 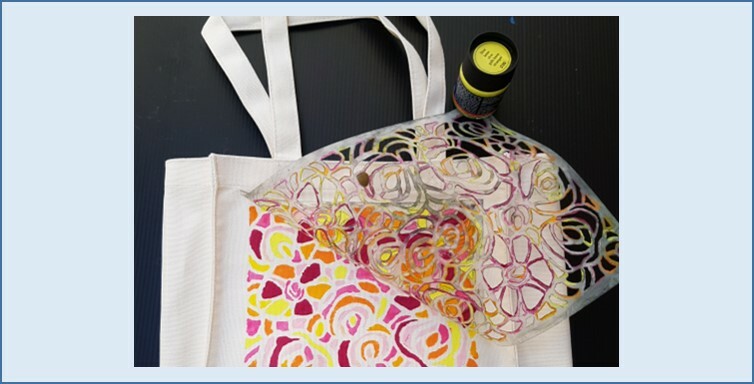 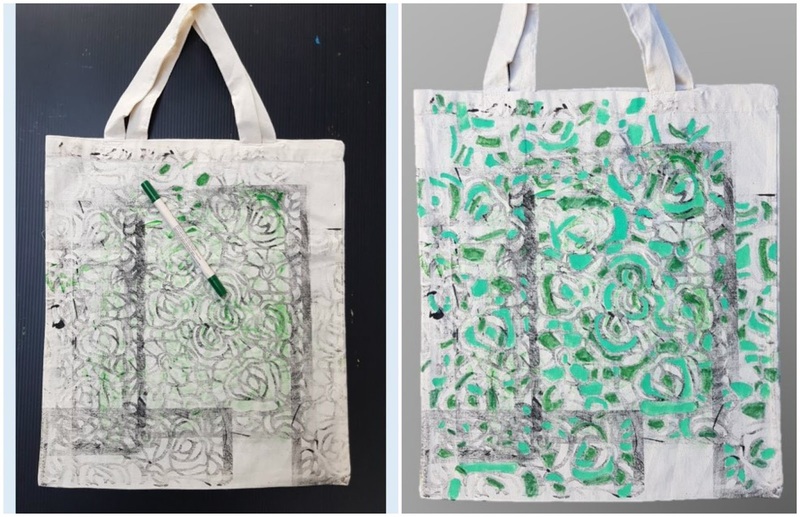 StencilGirl Talk: Stenciling on Fabric with StencilGirl Stencils! 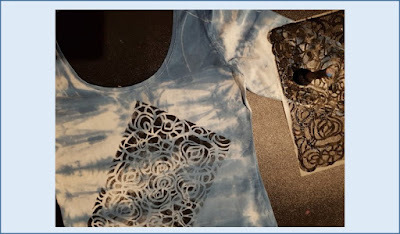 Stenciling on Fabric with StencilGirl Stencils! 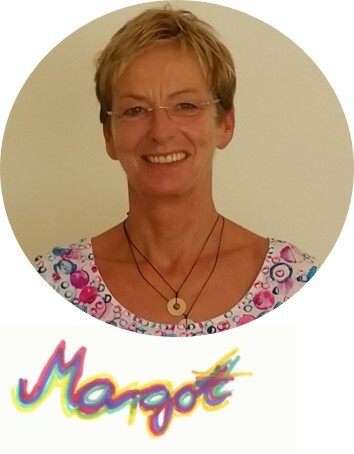 Hi, everyone! This is Margot Krekeler, and I’m delighted to be here writing a guest post for StencilGirl Talk! 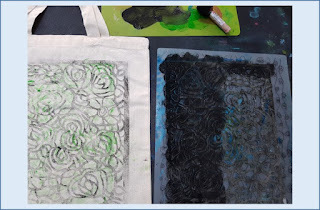 and I’ve recently released the first in a series of fabric-painting guide books for beginners. In my first project, I used Suzi Dennis’ stencil Garden Dreams to play around with various stenciling methods and enjoy experimenting with them. 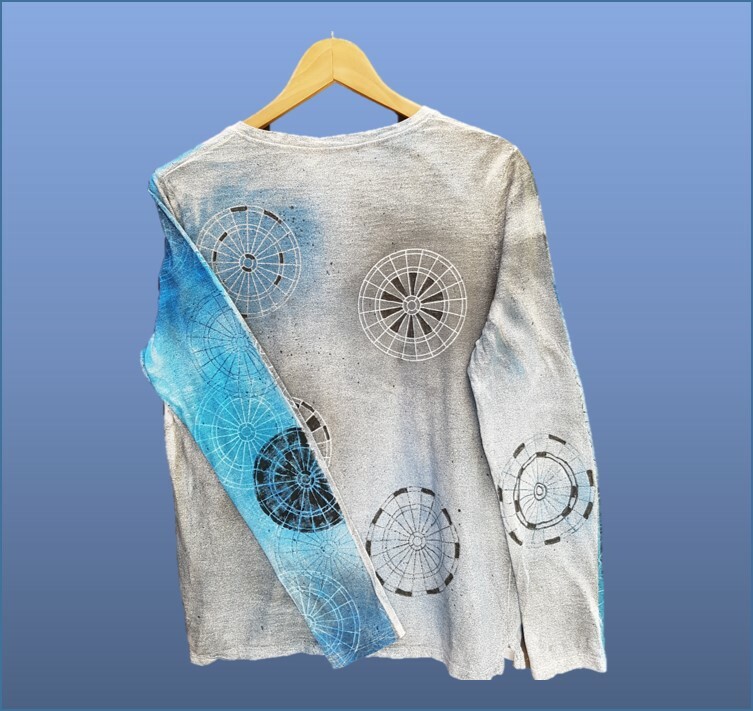 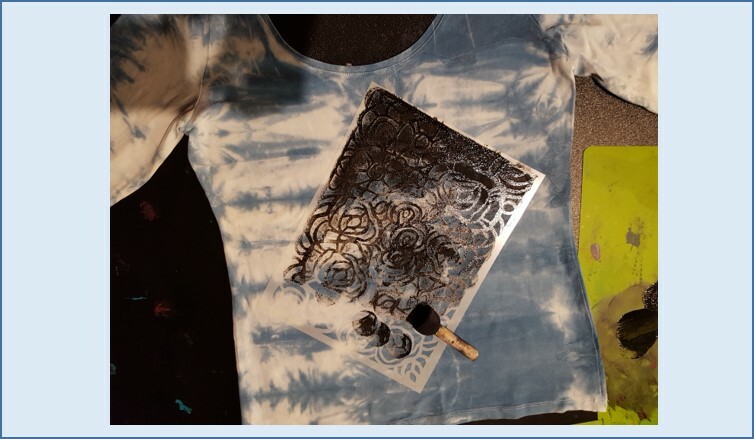 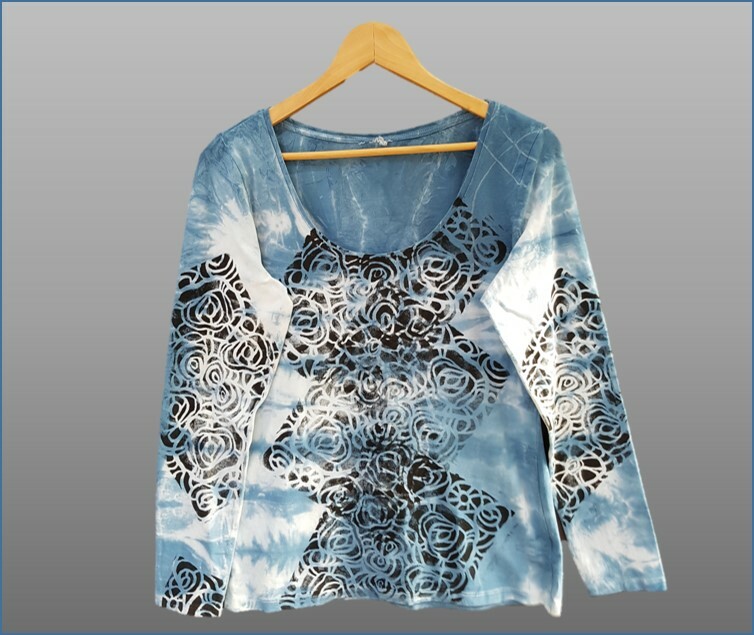 I applied the stencil directly to a T-shirt which I’d already prepared during a shibori-workshop (shibori - a Japanese manual resist-dyeing technique for producing a pattern). 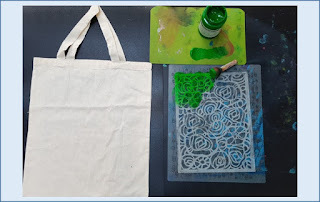 I continued applying the stencil directly, this time to a tote bag. 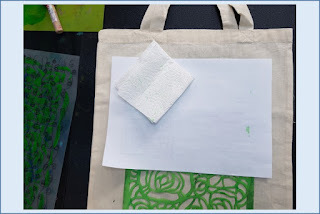 I used adhesive spray to cover the stencil’s reverse side so the stencil would lie flat and evenly on the fabric and so no paint would slip under the stencil’s edges. 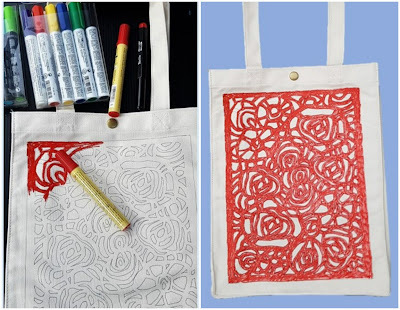 I then decided to try something different: coloring in both the stencil’s cut-out areas and its covering areas. First, I again used adhesive spray to keep the stencil firmly stuck to my tote bag’s reverse side. 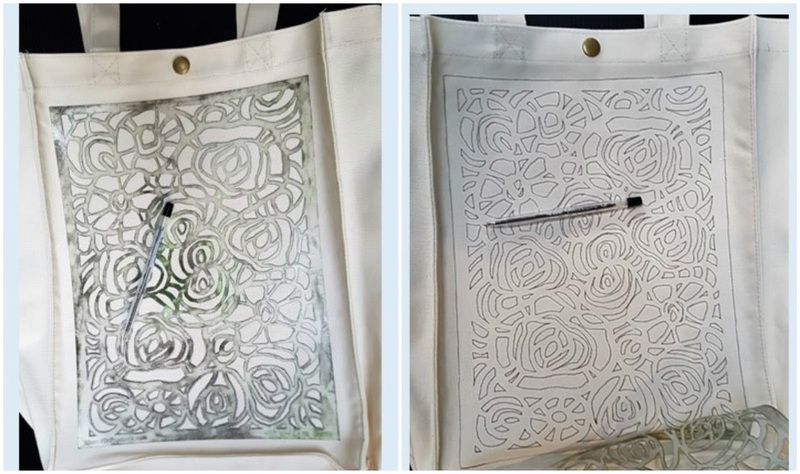 Next, I used a ballpoint pen to trace the outlines of the cut-out holes. 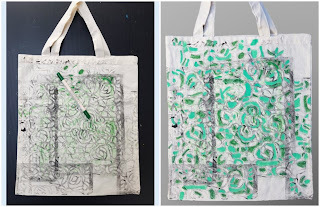 The tracing worked well, so I now had a clear design I could use fabric markers to color in. 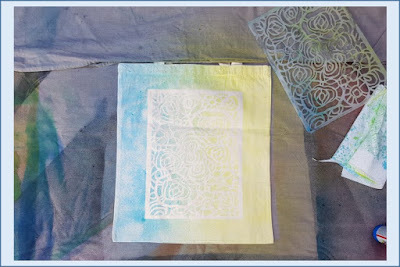 I started by coloring in the areas the stencil would’ve covered if I’d done the stenciling directly. 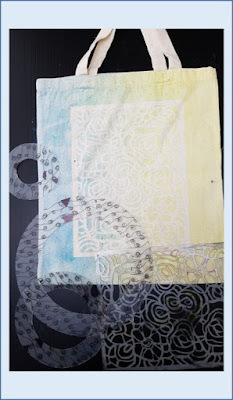 Next, I colored in the areas that would’ve been painted if I’d done the stenciling directly. The coloring took a while, but I found it quite relaxing. 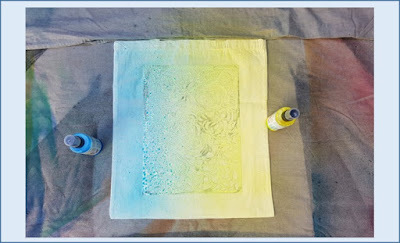 My next idea was to use fabric-spray paints on the stencil. 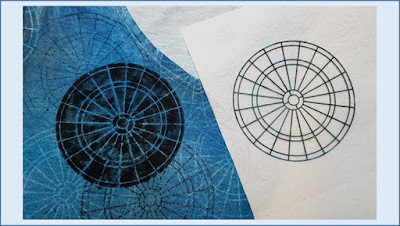 I alighted on the solution of adding another layer, again using the stencil but using it combined with some simple circular shapes I’d cut from an old plastic table mat. 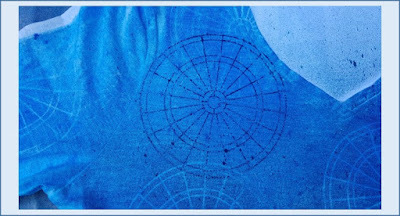 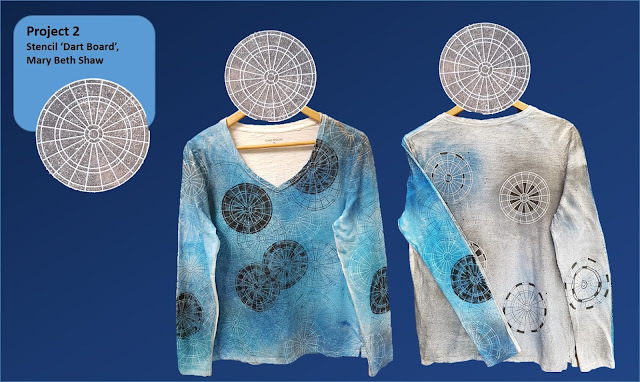 By placing the self-cut round shapes over the stencil, I was able to both use the stencil’s pattern and create circular prints. 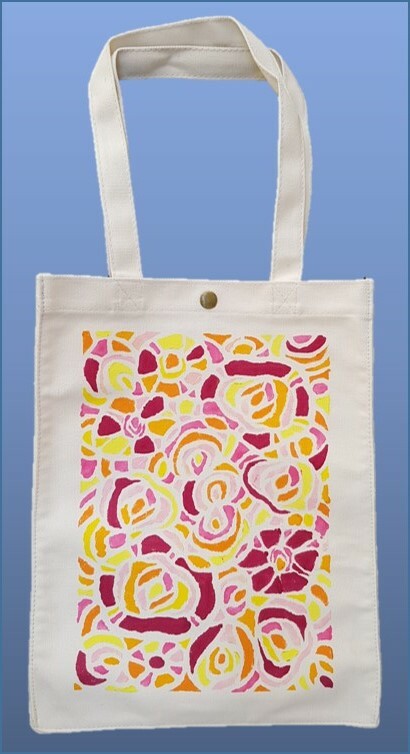 Of course, the reverse side of the second tote bag also required some color. 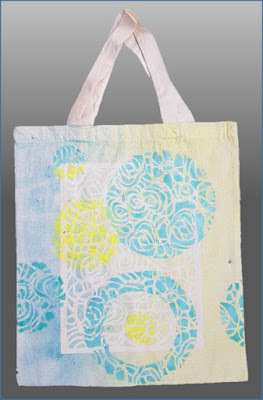 This time, wanting to test the stencil’s stamping potential, I used fabric paint to cover the stencil. 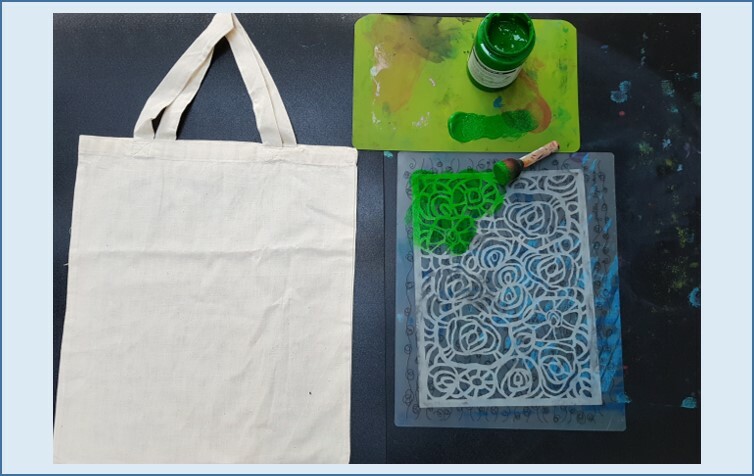 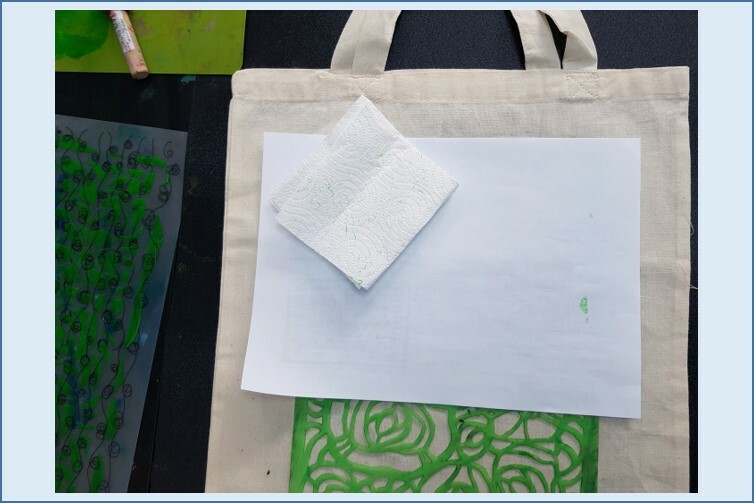 Then i turned the stencil over and pressed it on to the tote bag. 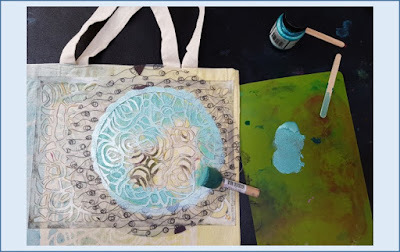 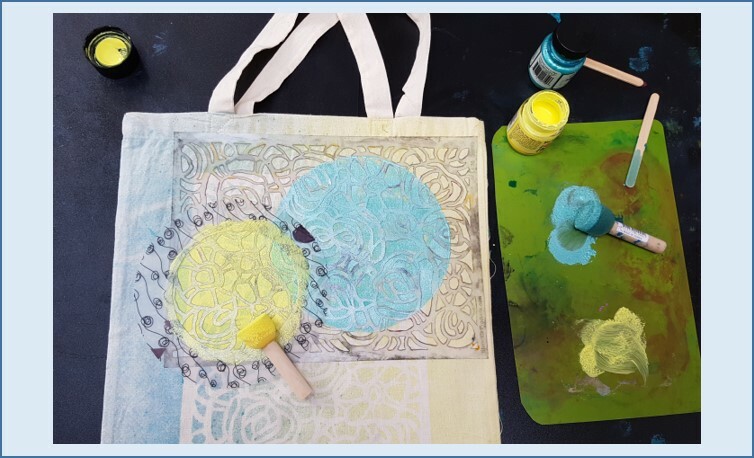 Next, I brought a darker and more opaque paint into the game, applying black paint to the stencil and then ‘stamping’ another layer on to the tote bag. 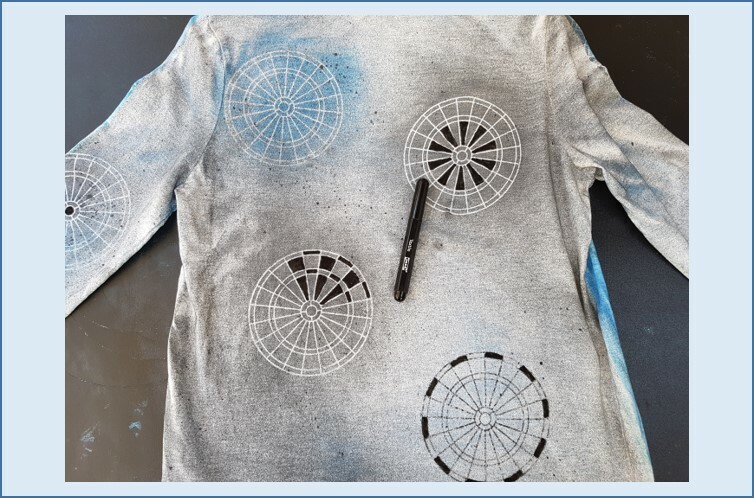 For my next project, I used Mary Beth Shaw’s Dart Board stencil and three paint applicators: fabric-spray paints, a paintbrush and paint, and fabric markers. 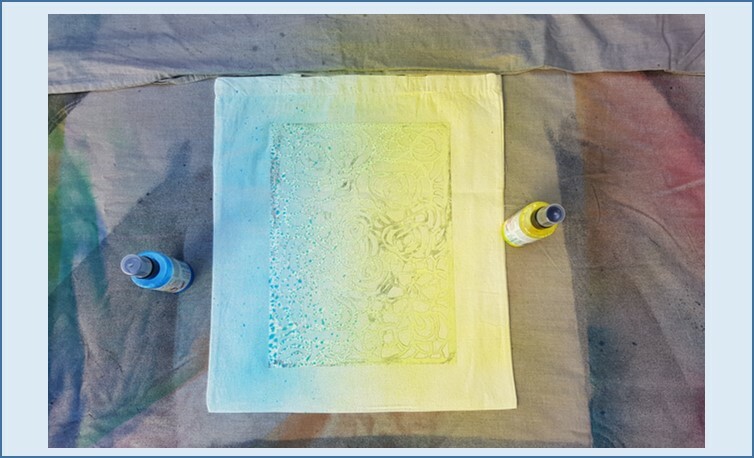 The first step was to place the stencil loosely on a white T-shirt and repeatedly spray over it. 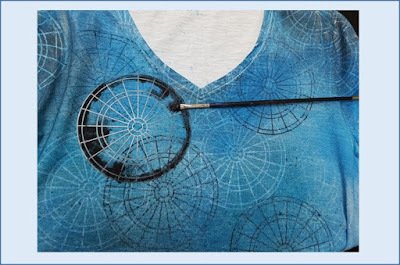 I used adhesive spray to cover the stencil’s reverse side so the stencil would stick to the fabric. On the T-shirt’s reverse side, I applied much less paint to each dart board design, spraying only a thin mist of it over the stencil. 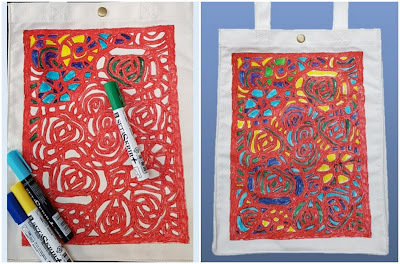 I then used a fabric marker to color in sections of the stenciled dart boards. I had a lot of fun working on these projects! 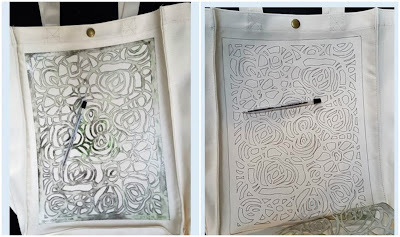 We can apply stencils in so many ways – actually, in limitless ways – and we always get some surprises when we lift the stencil and see the design we’ve created. 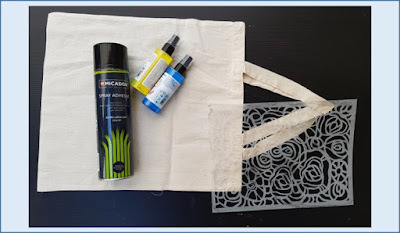 I can’t wait to keep fabric stenciling! 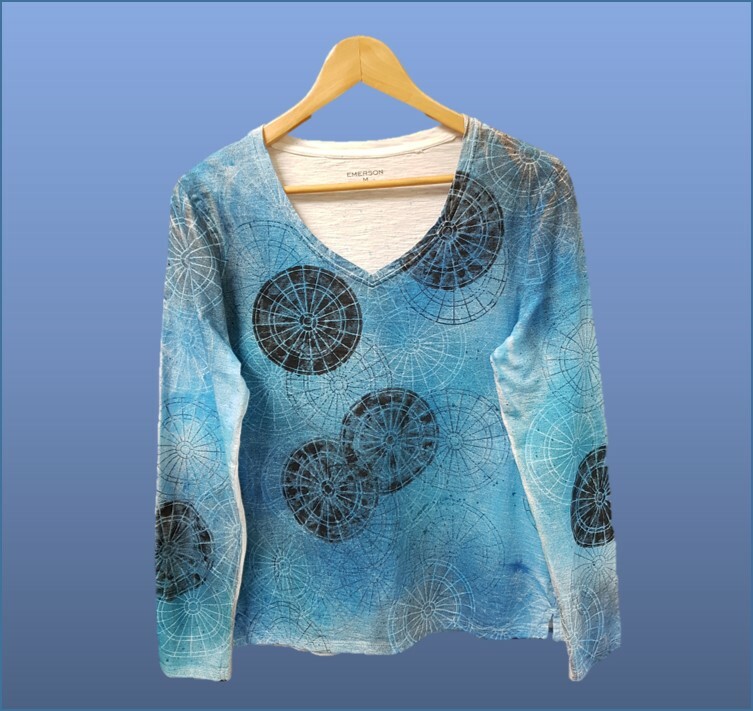 fabric painting - relax creatively!